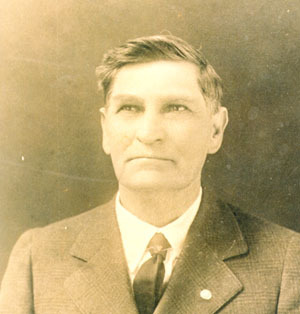 Roy Cantrell Son, M, Mar-1886, 14, s, TX AL AL. Josie Culpepper, Daughter, F, 49, S, TX TN AL. Josie Culpepper, Sister, F, 59, S, AL AL SC. David Temple, Coppell, TX, 2000 e-mail. WILSON YOWELL GOOD daug. of Joseph D. WILSON. 79121. Daug. of Mildred Blanch WILSON YOWELL GOOD. My source (grandmother), has Reuben married 3 times. Hannah Culpepper was first, then she died. Sarah E. Sewell was #2, but the split up and Margaret Price was #3. With Margaret (and I maybe spelling her name wrong), he fathered Medard in 1880, Belle in 1883, Lee in 1885, Minnie Alice in 1888 and Laura in 1890. All were born in Chattooga County, GA.
E-mail written Apr 2012 to Warren Culpepper from Ann Dill, e-mail address. 1. Andrew Jackson Bankson. Born on 18 Jan 1840 in Cherokee County, Alabama. Ms. Stewart has Tennessee as place of birth. Andrew Jackson died in Cherokee County, Alabama on 1 Mar 1896; he was 56. On 13 Oct 1868 when Andrew Jackson was 28, he married Melissa Emiline (M. E.) Culpepper, daughter of John Tyler Culpepper & Martha Melvina Baker. Married by Rev. William Livingston. Also noted in Cherokee Advertiser. Born on 25 May 1843. 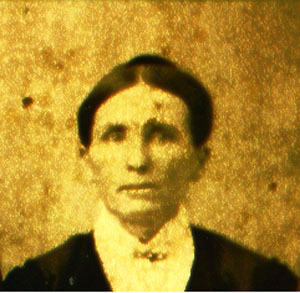 Mary Emiline (M. E.) died on 1 Mar 1896; she was 52.
i. Nettie L. Born on 13 Mar 1870 in Cherokee County, Alabama. Nettie L died ? On 6 Jun 1915 when Nettie L was 45, she married Senator Jonas Nance, in Collinsville, Alabama. iii. 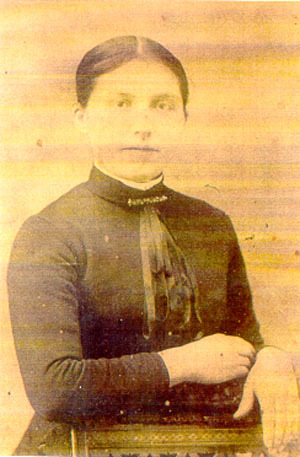 Margaret Meloinia. Born on 16 Oct 1872. Margaret Meloinia died ? . On 27 Jan 1918 when Margaret Meloinia was 45, she married Jno. Green, in Key, Alabama. iv. Willie J. Born on 13 Mar 1874. Willie J died in 1954; she was 79. Studied algebra and French in school. We called her "Cousin Willie" since she was cousin to our Aunt Diana. I have several pictures of her. 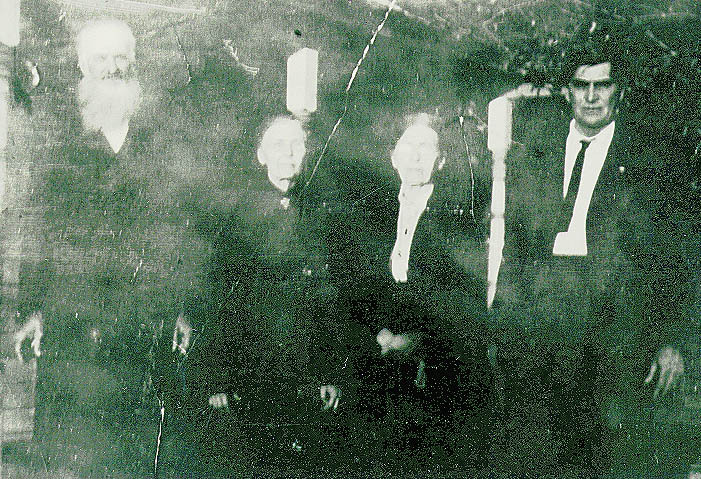 On 15 Jun 1924 when Willie J was 50, she married W. A Holcombe, in Jamestown, Cherokee County, Alabama. viii. Samuel Olliver "Ollie". Born on 5 Jul 1880 in Cherokee County, Alabama. Samuel Olliver "Ollie" died in Chattanooga, Hamilton County, Tennessee in Aug 1970; he was 90. On 2 Jun 1915 when Samuel Olliver "Ollie" was 34, he married Marian E. Spigener. 2. Lexstella T Bankson. Born on 8 Apr 1871 in Cherokee County, Alabama. Lexstella T died ? . In 1892 when Lexstella T was 20, she married E. L. McCoy. i. Vady. Born abt 1892. Vady died ? . Vady married Tressie McCalmon, daughter of Esli Lafayette McCalmon & Nancy Miranda Moseley. iii. Agnes. Born abt 1900 in Cherokee County, Alabama. Agnes married Hexekiah Foster. Born abt 1900.
iv. Vera. Born on 25 Jul 1908. Vera died in Jan 1985; she was 76.
v. James. Born on 1 Mar 1912. James died in Gadsden, Etowah County, Alabama in Feb 1981; he was 68. Born abt 1900.
vii. Mary Lee. Born on 27 Oct 1916. Mary Lee died on 24 Jan 1918; she was 1. Buried in Jamestown Cemetery, 3 miles NE of Blanche, Cherokee County, Alabama. viii. Margaret Jean. Born on 29 Oct 1926 in Round Mountain, Cherokee County, Alabama. Margaret Jean died in Grove, Oklahoma on 29 Jun 1997; she was 70. Buried in Hazelgreen Cemetery, Boulder City, MO. Summerville, GA; Betty Cook, Lyerly, GA; Mary Mackey, Summerville, GA; and Dixie ?, Satellite Beach, FL. 4. John Tyler Bankson. Born on 25 Oct 1876. John Tyler died in 1929; he was 52. On 28 Aug 1910 when John Tyler was 33, he married Hattie Lorena Denton, daughter of Samuel Drury Denton & Mary Catherine Hagin. Born abt 1885.
i. Samuel A. Born on 19 Feb 1913. Samuel A. died on 19 Feb 1913.
iii. Mary Emma. Born on 12 Oct 1916 in Cherokee County, Alabama. Mary Emma died on 5 May 1975; she was 58. 5. Mary Emma Bankson. Born on 22 Apr 1878 in Cherokee County, Alabama. Mary Emma died ? . ii. Infant Son. Born on 3 Dec 1911. Infant Son died on 27 May 1918; he was 6. Buried in Pleasant Hill Cemetery, 13 miles NE of Leesburg, Cherokee County, Alabama. iv. Infant Son. Born on 29 Apr 1918. Infant Son died on 27 May 1918. Buried in Pleasant Hill Cemetery, 13 miles NE of Leesburg, Cherokee County, Alabama. 6. Andrew Jackson Bankson Jr. Born on 2 Nov 1881. Andrew Jackson died ? . In 1933 when Andrew Jackson was 51, he married Dorothy Alice Robertson. i. Samuel Jackson. Born in 1934. 7. Ernestine G. Bankson. Born on 7 Mar 1885. Ernestine G. died ? . On 25 Dec 1910 when Ernestine G. was 25, she married John Shamblin. E-mail written 2001 to Lew Griffin from Martha Lyle, e-mail address. Bamma Culpepper Lewis died May 1925 in Jefferson Co., Alabama. Miss Sallie Culpepper and Mr. James N. Webb, "Married at the residence of the bride's mother, near Davis X Roads, Cherokee County, on Sunday night, 12 Sep 1874, by Wm. Henderson, Esq. ", Published 8 Oct 1874, Vol. 2, page 411. Cherokee, Alabama; Roll T9_6; Family History Film: 1254006; Page: 291.1000; Enumeration District: 20. Florence Culpepper, Dau, F, Wh, Aug 1899, 8/12, sng, AL/AL/AL. + Edna Daniel Culpepper, 29 Mar 1897 – 16 Apr 1934. Ben Culpepper, Box 414, Humble, Harris Co., TX, age __, born 11 Nov 1896 in Section, Alabama, Father born in Alabama, Employed by C. Bender & Sons, Humble, Harris Co., TX, Nearest relative: Mrs. Alice Rousseau, Box 414, Humble, Harris Co., TX, Caucasian, Medium height, Medium build, Light Blue eyes, Brown hair, No disabilities. Registered 5 Jun 1918 at Harris Co., Texas. Benjamin Culpepper, 1 M0-5, 1 M5-10, 1 M40-50, 2 F0-5, 2 F10-15, 1 F15-20, 1 F20-30, 1 slave. Frances Elizabeth Culpepper and Joe Simmons married 8 Oct 1832 in Lawrence Co., MS.
Year: 1850; Census Place: Township 15 R 5 E, Attala, Mississippi; Roll: M432_368; Page: 117B; Image: 289. Susannah Culpepper and Arnold Branton married 6 Feb 1837 in Lawrence Co., MS.
Mortality Index: Benjamin Culpepper, 70, M, born in SC, Blacksmith, died Jan 1860 of old age in Attala Co., MS.
+ Mary Ann Culpepper Ellington, Oct. 25, 1818 - Feb. 27, 1881. B. Culpepper, 1 M0-5, 2 M15-20, 1 M50-60, 1 F5-10, 2 F10-15, 1 F20-30, 1 F40-50, 0 slaves. e-mail address, 25 May 2002. 1840 Census* 1 Jun 1840� Joseph was listed as the head of a family on the 1840 Census on 1 Jun 1840 at Carroll Co., Mississippi. 1841 & 1845 State Census, Mississippi, Ancestry.com. C. Adams, 34, M, Laborer, Germany. Mary M. Culpepper, 7/12, F, MS.
Stump Ridge Baptist Church Cemetery (aka Stump Bridge), Attala County, Mississippi. + Sarah Due Culpepper, 17 Nov 1864 - 2 Apr 1941. 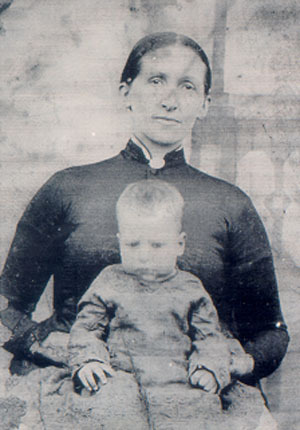 + Lila Dew Culpepper, 27 Jan 1870 - 6 Dec 1946. County Line Baptist Church Cemetery, located in Leake County near the Attala/Leake county line. From Kosciusko travel south on Highway 35. Ann Culpepper, 1878 - 1964. Nancy Culpepper, 3, F, Wh, MS.
1840 Census 1 Jun 1840� Mary was probably a free white female, age 20 and under 30, in Joseph Richard Culpepper's household, on the 1840 Census on 1 Jun 1840 at Carroll Co., Mississippi. 1. Exhibiting deadly weapon… Recognizance forfeited against principal & surety. John Simmons, 23, M, Farmer, MS.
Jerusalem Baptist Church Cemetery, Attala Co., MS. Located in the southeastern part of the county. + B. R. Culpepper, 12 Sep 1824 - 19 Dec 1897. Benjamin Culpepper, owned 1 Black male, age 56. Babe Culpepper, 2/12, M, MS.
+ R. M. Culpepper, 11 Apr 1856 - 29 Nov 1937. + Maudie T. Culpepper, 28 Jul 1864 - 23 May 1936. Daniel Culpepper, 1, M, Wh, MS.
+ H. Daniel Culpepper, 4 Sep 1868 - 19 Jul 1898. Milton H. Lawrence, Other, M, Sng, Wh, 7, N/A, MS/MS/MS. E-mail written Nov 1999 to Hughes List at Rootsweb (e-mail address) from C.L.C., e-mail address. E-mail written 2004 from Peggy June Gresham, e-mail address. "My great grandfather, Bailey Oliver married Syntha Susie Culpepper, daughter of Benjamin R. Culpepper and Mary Mason. Bailey Oliver was married in Washington Cty. NC to Elizabeth Furlough/Furlaugh and had a son Alexander Bailey Oliver and a daughter Mary Jane Oliver (my great grandmother). 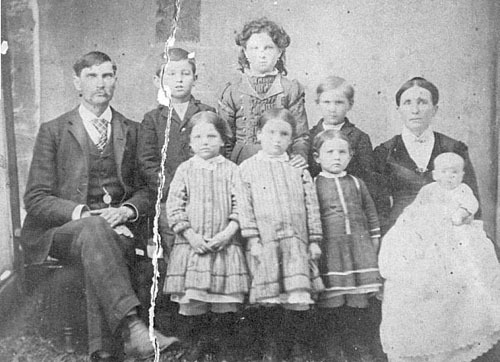 Bailey's first wife died and he migrated to Mississippi where he married Syntha Susie Culpepper and had 3 sons, William Nathan, Henry Daniel, and James W. Oliver (James died at the age of 3). 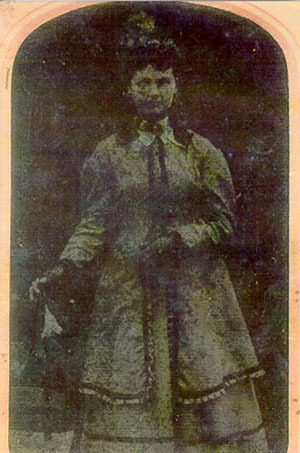 After Syntha's death in 1885, Bailey married Mary Elizabeth Sartin Stephens and they had one daughter Daisy Viola Oliver. The R in Benjamin, Syntha Susie, and the Henry Bailey Oliver were given to me by family. However, in all of my researching I have only found Benjamin Culpepper (with no middle initial), Syntha S. and Bailey Oliver .... Syntha S. tombstone only gives Syntha S. wife of B. Oliver. His tombstone only gives Bailey Oliver. I did not find Benjamin Culpepper's tombstone but have been told that he is buried in Jerusaleum Cemetery also. As for marriage license for Bailey's three wives, I have not been able to find them. The courhouses in NC burned and I have found no record nor have I found any records in Mississippi. At the Attala courthouse they told me many of their records had burned also.